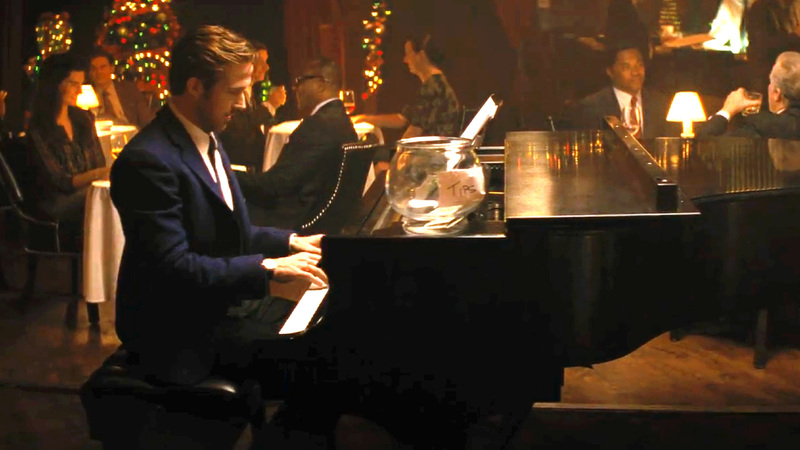 Why La La Land deserves So Much Love And Appreciation? Seems strange, doesn’t it? A movie, which takes its protagonists on so many fantasy-inspired flights, could actually give us all so many life lessons, and none that would drown our desire to live a beautiful life. I was wanting to watch this movie since its release, well actually before the release, because I loved the trailer. But, somehow my plans kept on getting postponed, majorly because after the initial reviews, I had decided to watch the movie with my brother, who along with me, is a dreamer and a lover of movies. He could not get time, and at last when we did get time, we reached a bit late and rushed to sit in the hall. I even fell down on the stairs of the hall and bruised my knee, but not my spirit! I was angry at my brother for getting me late and then on myself for not being careful enough, and sat on my seat with a sulking mind, but in a few moments, just like that, I forgot it all and got swayed away by the beauty of each frame that I was watching. You start watching the movie and marvel at the moments being showcased, at the music being played and at the emotions being conveyed through the eyes, and when you are done, you sit there for a while, smiling at having understood not a movie, but life. That was La La Land for me, and I would like to believe for many, because today it stands with 7 Golden Globes and 14 Nominations at the Oscars. The real world feels like a cynical fireplace, where everybody is out there to douse the fire of your passions, and in today’s world, if a movie can make you believe in the power of dreams, then for me it the most beautiful thing. La La Land taught us all to never give up on our dreams, even if it seems impossible at times, even if you lose the courage to keep going on. I feel we do not choose our dreams, instead the dreams choose us. We may get lost for a while and feel that nothing is worth it, but there is some great amount of power in the game of fate, which makes you chase your dreams and when you get tired and are almost ready to give up, the dream starts chasing you, and you get what you have wanted since the beginning. And that’s OKAY! We all need to understand this one basic thing that people come in our life to serve a purpose, to take us to a point where only they could take us, for we give our everything to them for the love that binds us. But that doesn’t mean that, that person would always stay in your life. Circumstances may part the ways which were supposed to be treaded together, but that doesn’t reduce the value they add to your life. For the sheer fact that they dreamt at the first place. They could only achieve what they wanted to, because they dreamed about it. There were changed routes and misguided ways in between, but eventually they did reach the destination which they had in their hearts. And that made Mia and Sebastian smile at each other at that last moment, even if they were not together, for they knew their dreams had come true, and because those dreams were shaped and coloured by each other in their lives, they had love and respect for each other as well. For such great lessons to be learnt, we feel that things might need to get really serious, but La La Land gave us all of this by merrily singing and dancing into our hearts and that’s what made people fall in love with the movie. Well, I did! What about you?